As the FBI presses forward with a limited investigation into allegations against Supreme Court nominee Brett Kavanaugh, a group of alumni from his all-male high school Georgetown Prep are calling for graduates to come forward if they have information about sexual assaults committed by their former classmate. As the FBI presses forward with a limited investigation into allegations against Supreme Court nominee Brett Kavanaugh, a group of alumni from his all-male high school Georgetown Prep are calling for graduates to come forward if they have information about sexual assaults committed by their former classmate. 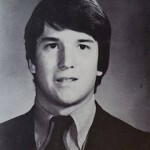 In 2015, Kavanaugh told an audience at Catholic University’s Columbus School of Law that “What happens at Georgetown Prep stays at Georgetown Prep.” But the petition implores graduates of the elite prep school, “Please do not remain silent, even if speaking out comes at some personal cost.” Bill Barbot was a freshman at Georgetown Prep when Brett Kavanaugh was a senior. Barbot co-authored a petition calling on fellow graduates to come forward if they have information about any sexual assaults possibly committed by the Supreme Court nominee. The American Civil Liberties Union has come out against the confirmation of Judge Brett Kavanaugh to the Supreme Court. It is only the fourth time in the organization’s 98-year history that its national board of directors has voted to oppose a Supreme Court nominee. ACLU President Susan Herman said in a statement, “As a nonpartisan organization, the ACLU does not oppose Judge Kavanaugh based on predictions about how he would vote as a Justice. We oppose him in light of the credible allegations of sexual assault against him.” The ACLU has now launched a $1 million ad campaign across four states urging key swing-vote senators to vote against Kavanaugh’s confirmation. Louise Melling is the deputy legal director at the ACLU and director of its Center for Liberty.